Vegetarian or vegan entrées that will please any crowd–even the meat eaters. 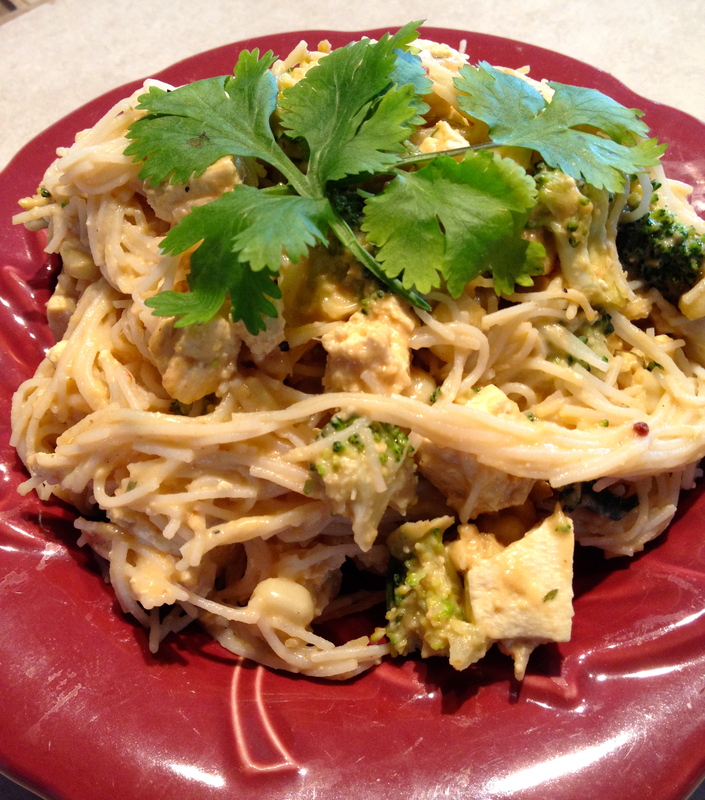 Even meat eaters love this recipe! 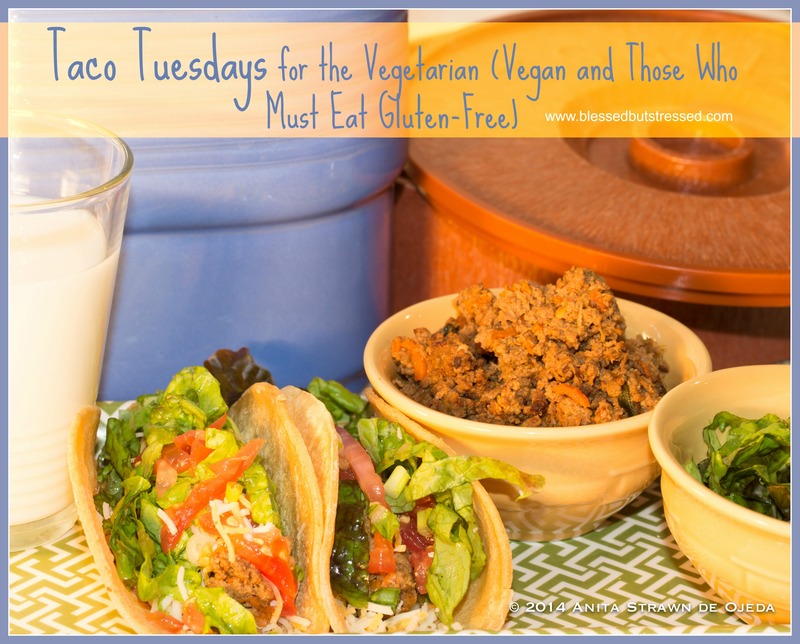 Looking for a quick vegetarian taco Tuesday recipe? Here’s a quick and easy taco recipe that even the meat eaters in your family will love (I know, I’ve tried it on non-vegetarian, teenage boys). The best part about this recipe is that you can easily freeze the leftovers and have them for next Tuesday! I’ve also discovered the delights of ‘cook at home’ corn tortillas (I’ve found them at Costco and Wal Mart). These babies don’t have any added fat and you don’t have to baptize them in hot oil to make them soft and easy to eat–just cook them on a dry skillet and keep them warm in a tortilla warmer. Mix the first four ingredients together and then pour the boiling water on top. 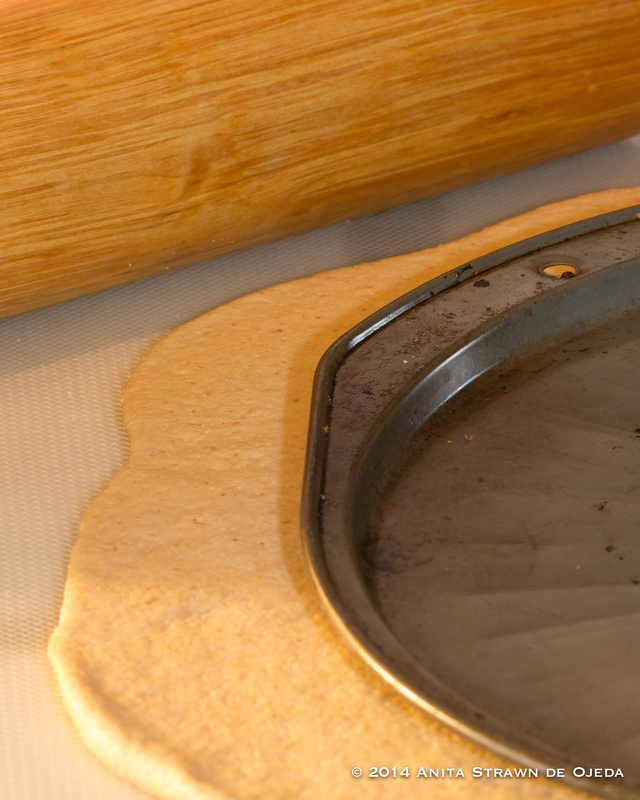 Allow the water to soak into the TVP whilst you prepare the other ingredients. Heat the olive oil in frying pan and then add the carrots, garlic, onion and zucchini (I put the carrots in, and then chop the next ingredient on the list whilst the first one starts sautéing). When the carrots are soft, add another teaspoon of olive oil and then add the taco meat mixture. Mix well and allow the taco meat to brown whilst you prepare the corn tortillas. Serve with cheese, lettuce, tomatoes, and your other favorite toppings. If you’re vegan, omit the cheese. If you’re in a hurry, you can purchase ready-made pesto sauce. I usually make the pesto sauce ahead of time and keep it in the refrigerator with a thin layer of olive oil on top to keep it from discoloring. That way, I can throw the dish together in twenty minutes when I get home form work or from church. If. fresh basil isn’t available, Costco sells a good pesto sauce (I always add some black pepper to it, though). This is not a sponsored post. If I have a favorite ingredient, I just list it and explain why ;). In a food processor or high powered blender, add the first six ingredients in the order listed. Pulse until all of the ingredients have chopped a little, and then slowly add the olive oil and continue to blend until a smooth paste is achieved. If you plan on storing the pesto, reserve a little bit of the oil for spreading across the top. In a large stockpot or sauce pan, bring 4-6 quarts of water to a boil. Add the potatoes and set the timer for 10 minutes. Prepare the green beans whilst you wait for the potatoes. After ten minutes, add the box of pasta and set the timer for 7 minutes. When the timer goes off, add the green beans (frozen green beans work as well). Boil for five more minutes. Meanwhile, spread about half of the pesto sauce in the bottom of a very large serving bowl or pasta bowl. When the potato, pasta, green bean combo has finished cooking (everything should be tender but not mushy), remove from the burner and drain, reserving about a half a cup of liquid. 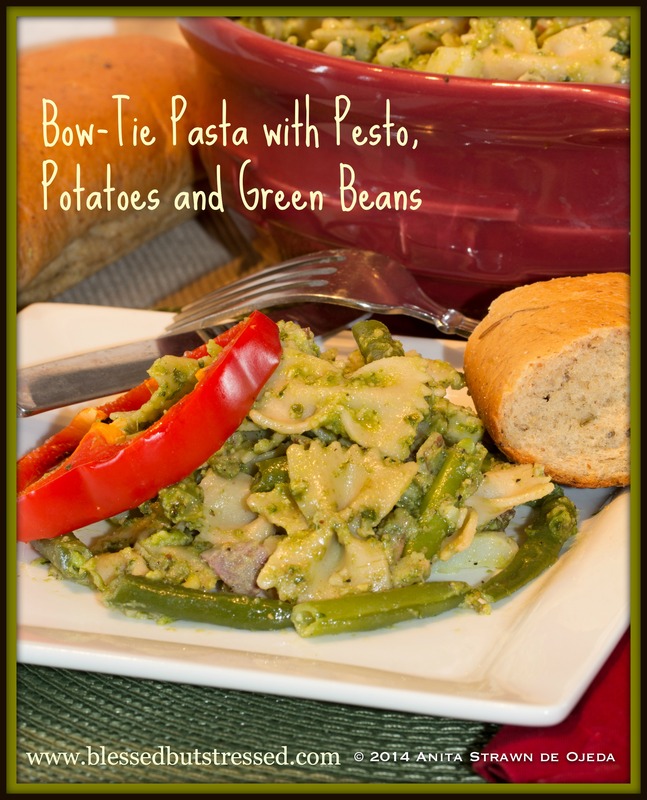 Add the pasta/potatoes/green beans to the serving bowl and then pour the rest of the pesto sauce on top. Mix well. If needed, add some of the reserved liquid to bowl. 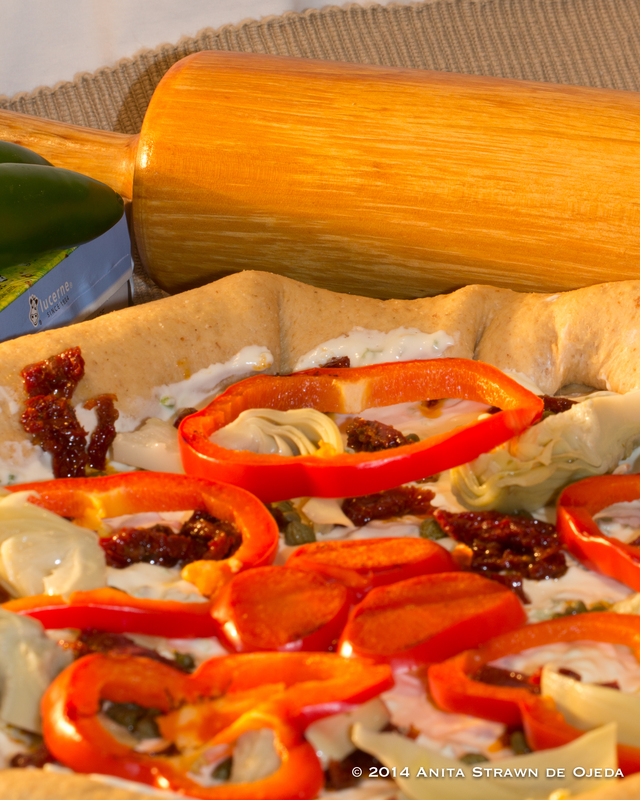 Garnish with roasted red pepper slices for flavor and pizzaz. I know, it’s an oxymoron to call a meatball vegetarian, but if you have guests who don’t eat meat, they’ll appreciate your effort! It’s 9:20 on a blustery Saturday morning, and we’ve had a desultory debate for three hours about what we should do today. We wanted to find some place beautiful and warm and relax away from school (we live on campus at a boarding school), even if it meant missing church. Unfortunately, the eastern snowcopalypse has leaned towards northern Arizona, bringing high winds and cooler temperatures to the entire region. “We’d have to drive three hours to find warm weather,” I whine. “We could spend the night somewhere,” Pedro suggests. We look at each other in disappointment. We could have gone somewhere yesterday afternoon—but we had promised to show up for the elementary school puppet show, AND have the first through sixth grade students over for cookies and conversation after the program. “We should just invite some people over for lunch after church,” Pedro ventures. “Yeah.” I shrug and mentally tick through a list of “What Must Be Done Before I Want People Over.” Clean bathrooms: check. No big chunks on the floors: check. Spare toilet paper rolls in bathrooms: check. Out loud I say, “I think I have some food in the house.” Most days I’m too busy (or too disinclined) to go grocery shopping, and with only two of us at home now, I only cook a few times a week…in large quantities, because I don’t remember how to cook for two (we eat a lot of leftovers). “Ok,” he replies. “I guess I’ll go to Sabbath School.” I nod absently and wander to the kitchen to stare at the cupboards. While I text my parents and nephew to invite them over (we work at the same school), Pedro dresses for church and heads out the door. I stand in the kitchen and look at the cupboards. My mind enters warp speed and I quickly decide that we don’t have much, but I can throw together spaghetti and vegetarian meatballs in less than an hour. I dive in, happy that I keep ‘emergency supplies’ on hand for those random, “Oh, let’s have company” moments. I don’t have to worry about making a dessert, because we have leftover cookies from last night. I start grabbing ingredients that I think go into the meatballs (it’s been awhile since I made them and I have no time to look for the recipe). Last time I made them, I promised myself that I’d bake the next batch instead of frying them, but I don’t have time to experiment. I’ll fry the ‘meatballs’ and compromise my do-it-healthier credo. By 10:55, when the church bells ring for the second time, the meatballs are smothered in the jar of homemade spaghetti sauce I had at the back of the cupboard and heating up in the oven. The salad sits in the refrigerator and a pot of water simmers, ready for the noodles. I throw on wool pants and a sweater and head out the door, glancing regretfully at the unset table (no point in setting it if I don’t know how many people will show up) and the fact that I didn’t notice the pile of cookie crumbs on the floor left by last night’s little visitors. Not my favorite way to entertain, but I’m learning random. Two hours later, a happy group of ten sits around the table eating healthy cookies (that makes up for the fried meatballs, right?) and ice cream that my mom brought over (which I notice has half the fat of regular ice cream—score—it’s a healthy-ish meal after all). No one noticed the pile of crumbs under the table, or that fact that the meal consisted of just bread, salad and spaghetti (along with the dessert). And the meatballs? Everyone loved them. Oil for frying—start heating the oil first, so that it’s hot enough to fry the meatballs by the time you finish mixing them (like I said, you could probably bake these and it would be healthier). This time I used a small saucepan with about three inches of oil in it—some times (if I have enough oil in the house) I use my electric fryer. Mix everything but the oil together in a small bowl. Use a melon baller to scoop out teaspoon-sized balls of mix and carefully drop them into the hot oil. Fry until golden and remove the meatballs to a paper towel-covered plate to drain. Fill a four-quart baking dish with spaghetti sauce (home made or store bought) and mix in the meatballs. Cover and bake for an hour (or however long it takes for church to get out 😉 ) at 350˚. I’ve used a lower temperature and baked them for up to two hours before. A meatless Monday dish that’s big enough to feed a crowd or reheat for leftovers later in the week. ½ large onion, cut into large chunks. Sauté the garlic, jalapeños, and onion over medium-high heat in a large heavy-bottomed saucepan until they are soft. Blend on high speed until creamy (this works best if you have a high-powered blender such as a Blend Tec or a Vita Mix). 2 16-oz packages of extra firm tofu, rinsed, pressed* and cubed into small cubes. Heat olive oil in the same heavy-bottomed saucepan that you used earlier and then add the cubed tofu. Sprinkle the salt and seasoning on top and fry the tofu until it looks slightly browned. Meanwhile, boil the water for preparing the Thai rice noodles (I used an 8.8 oz. box of thin noodles) and prepare the noodles according to the package directions. the chipotle sauce and stir well. Steam two cups of broccoli and add to the mix. After rinsing the rice noodles, add them to the saucepan and mix everything together and allow it to heat through again (about 5-8 minutes). *Tofu tips. The most widely available tofu is ‘tub tofu’ that comes in a plastic tub with water. Make sure you purchase ‘Extra Firm’ if you buy ‘tub tofu’. This kind of tofu tastes best if you drain it, rinse it and then squeeze the water out of it before cooking with it. I usually unwrap the tofu, drain and rinse it, set it on a plate, put a plastic lid on top, and set a gallon of milk on top of the lid. The weight of the jug of milk will squeeze out the remaining liquid (it takes about an hour to get most of the water out). If ‘brick tofu’ is available in your area, it is easier to work with and doesn’t require the squeezing process to make it tasty. ‘Brick tofu’ is super-firm and comes wrapped in a brick with no water. 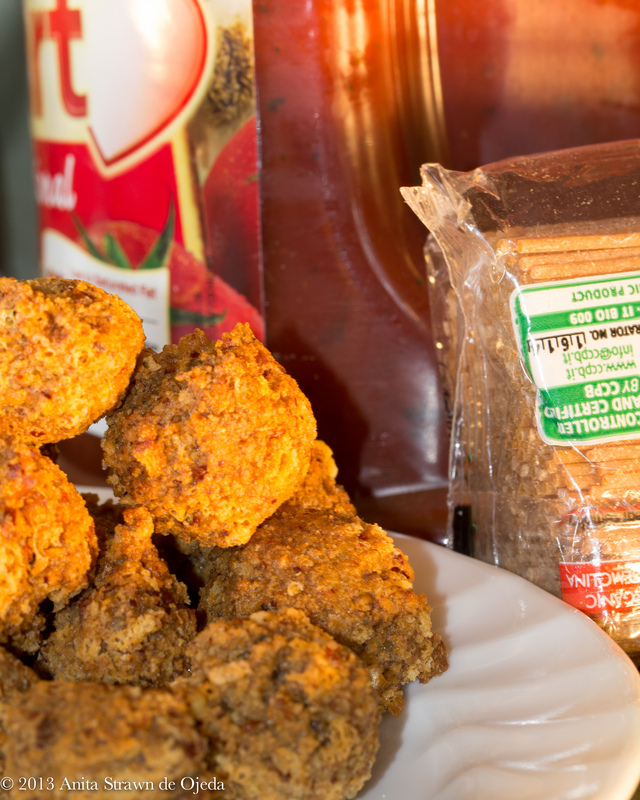 You can substitute oat flour for the wheat flour and make these gluten-free! Chop the onion and add it and the flour (or oat flour if you’d prefer gluten-free burgers) to the TVP mixture. Mix well, and then add the eggs. Use a large ice-cream scoop or a 1/2 –cup measuring cup to place the mix on a medium-hot, oil-covered frying pan. 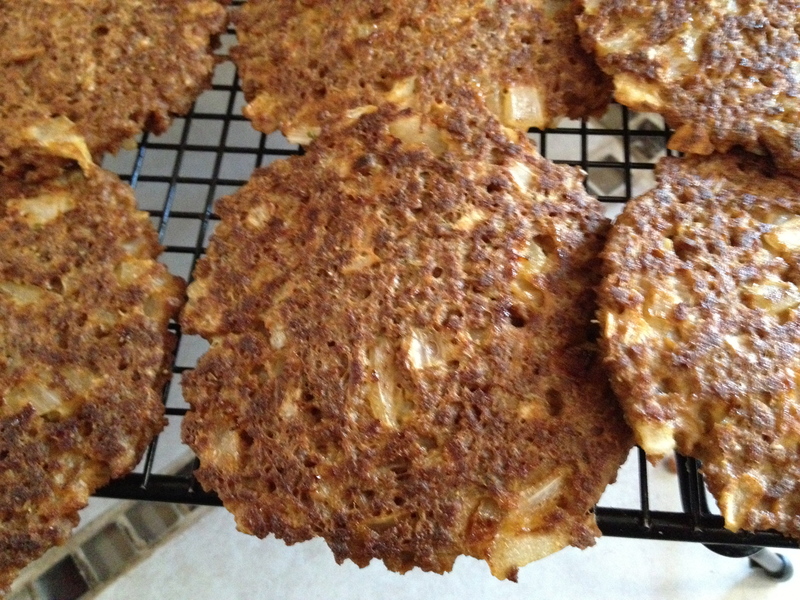 It’s important to NOT fry the patties on high temperatures, or the onions won’t cook thoroughly. I usually freeze the leftovers and have ready-made burgers for those nights when I don’t have time to cook. This tasty entrée is all flavor, but gluten-free and vegan (unless you like cheese, and add a little to the top). Have you ever wondered what to do when friends or family come to visit and they have dietary restrictions? 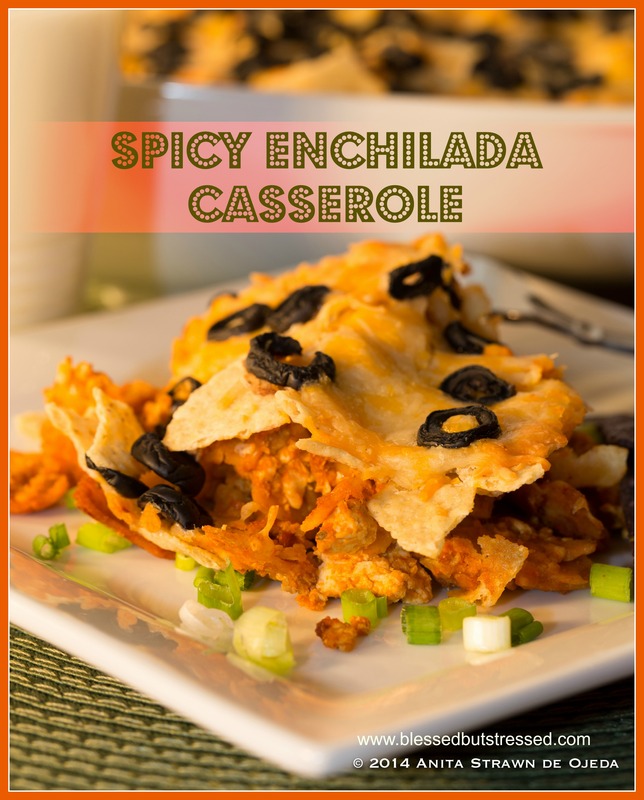 (tweet this) Try this spicy enchilada casserole–it’s gluten-free and can be made without cheese for the vegans or with cheese for the vegetarians! Put the following ingredients in the blender in the order listed. Rinse the dried chili pods in cold water first, and remove the stems. If you want a mild dish, remove the seeds as well and/or omit the smaller, hotter dried chilis. Heat 1 Tbs. olive oil in a large skillet over medium heat and coarsely chop the following ingredients and add them to the hot oil. Add the sautéed ingredients to the soaked chilies in the blender and blend on medium-high speed until smooth (this will depend on your blender). Mix well and allow the tofu to brown a little before pouring the chili sauce over it. Stir the tofu and chili sauce well, and allow the ingredients to simmer for 5 minutes. Rip the corn tortillas into large pieces (1-2 inch) and place them in a large mixing bowl. Pour the tofu/chili mixture over the tortilla chunks and mix well. If you’re cooking a gluten-free diet, check the package to make sure your tortillas are gluten-free. 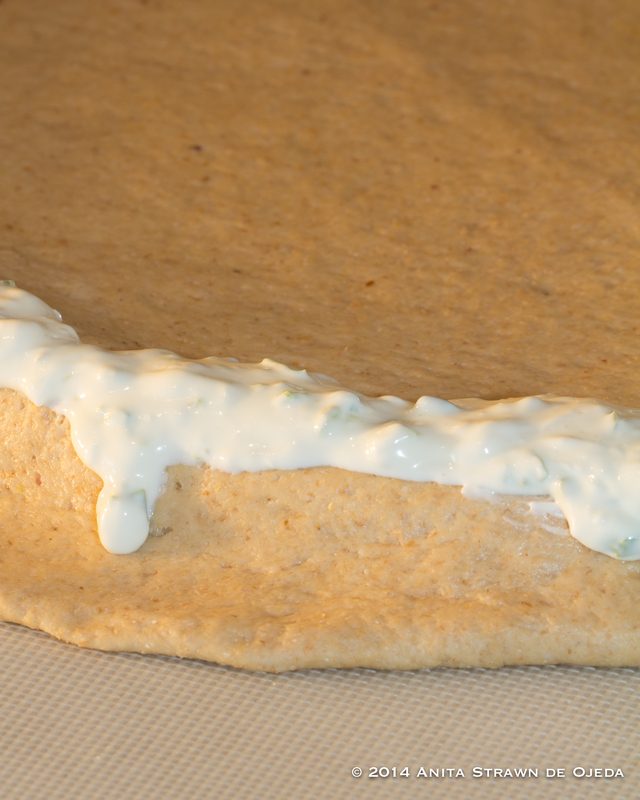 Lightly grease a 9X13-inch baking dish; pour the enchilada mixture into the dish. Garnish with chopped olives. Bake at 350 degrees for 45 minutes. Serves 8-12. If I’m cooking for a small group, I divide the mix into two smaller baking dishes and freeze one (let it cool thoroughly first before covering with aluminum foil and freezing) for later. Tofu tips. The most widely available tofu is ‘tub tofu’ that comes in a plastic tub with water. Make sure you purchase ‘Extra Firm’ if you buy ‘tub tofu’. This kind of tofu tastes best if you drain it, rinse it and then squeeze the water out of it before cooking with it. I usually unwrap the tofu, drain and rinse it, set it on a plate, put a plastic lid on top, and set a gallon of milk on top of the lid. The weight of the jug of milk will squeeze out the remaining liquid (it takes about an hour to get most of the water out). If ‘brick tofu’ is available in your area, it is easier to work with and doesn’t require the squeezing process to make it tasty. ‘Brick tofu’ is super-firm and comes wrapped in a brick with no water.